Purslane (a succulent, like cactus) is often considered a weed, and in fact I occasionally see it growing up between the cracks in the sidewalk. 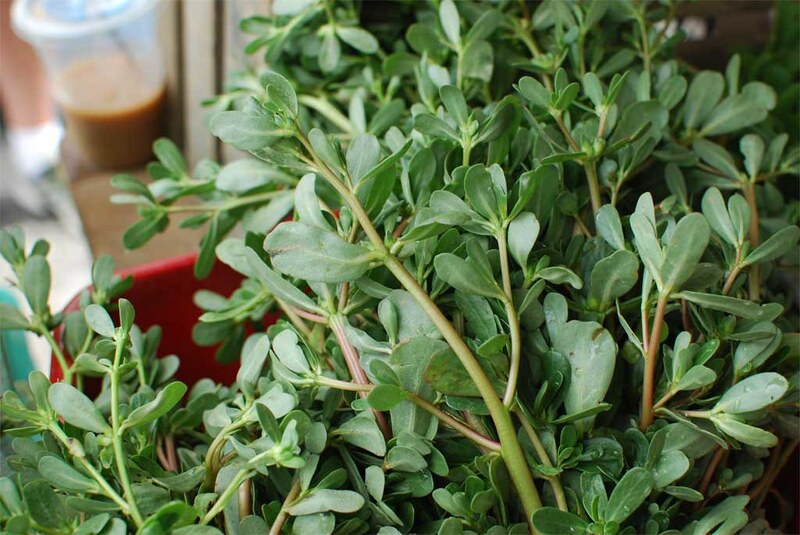 I find that funny, because purslane is ridiculously high in Omega-3 fatty acids, those “essential” acids which have been linked to improved brain functions, cancer prevention, and heart health. It’s also delicious. The plump, almost fleshy leaves and stems (both edible) have a sour, lemon-y flavor that’s good both raw and cooked. I can’t imagine you’d find it in your local supermarket, but I have seen it in multiple farmer’s markets.